I use many literary forms in my writing, from flash fiction to serious novels, from nonsense rhymes to lyrics, from long narrative verse to contemplative philosophical discourse. I enjoy writing for children and produce my own illustrations. By first capturing the interest of young readers with simple drawings, I let the story unfold, guiding them through an educational theme without sounding too serious. Children love the drama and conflict in my story, which always ends with a happy resolution, where good triumphs over evil. One of my books called An Untouchable King (find out more here) published by authorhouse is on sale now on amazon has been hugely popular. 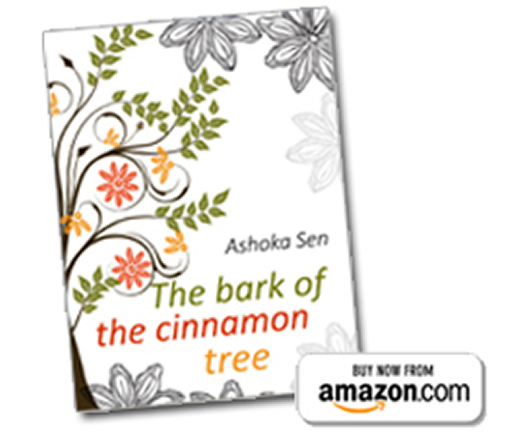 My second book called The Bark of the Cinnamon Tree (find out more here) has been published recently and is also on amazon. It is a collection of short stories with multiple themes. However, the theme of love and its trial is in the central keynote which rings throughout the whole book. There are stories of murder and mystery, love and arranged marriage, romance and separation, satire and allegory offering a gamut of emotions deeply touching and thoughtful. 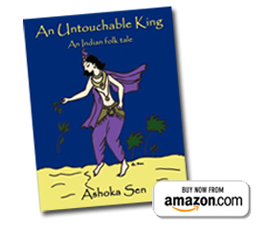 Ashoka has completed two novels, a collection of short poems, and two more books for the children – all ready for publication.